Talk about going local, the Estoril swimming pool is located in the middle of a compact street, Estrada da Vitoria, and right behind the iconic façade of the Hotel Estoril e Piscina Municipal. Estoril is surrounded by area schools and considered a swimming sports complex, but it’s still open to other visitors. The water is heated, making it available until sometime in November. It resumes business around April or May. Day pass—child/student MOP$7, adult MOP $15. Memberships start at MOP $260. Open 7:00am–12:00pm, 1:00pm–10:30pm. 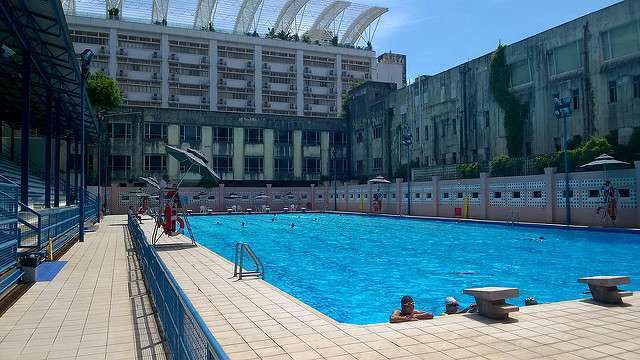 If you’re around Taipa, then Carmo swimming pools are a must for a quick splash. Another one of Macau’s sports complexes located near the Taipa House Museums, the complex not only has gymnasiums but also houses both an indoor pool and an outdoor pool. The pool’s depth starts at 0.9m and doesn’t go deeper than 2.1m, making it a great practice area for beginners! Since it was built by Macau’s government for educational and leisure purposes, a whole day rate only costs MOP$15 and their night rate is only MOP$5. Important tip: Don’t forget your shower caps! Open 1:00pm–10:30pm. 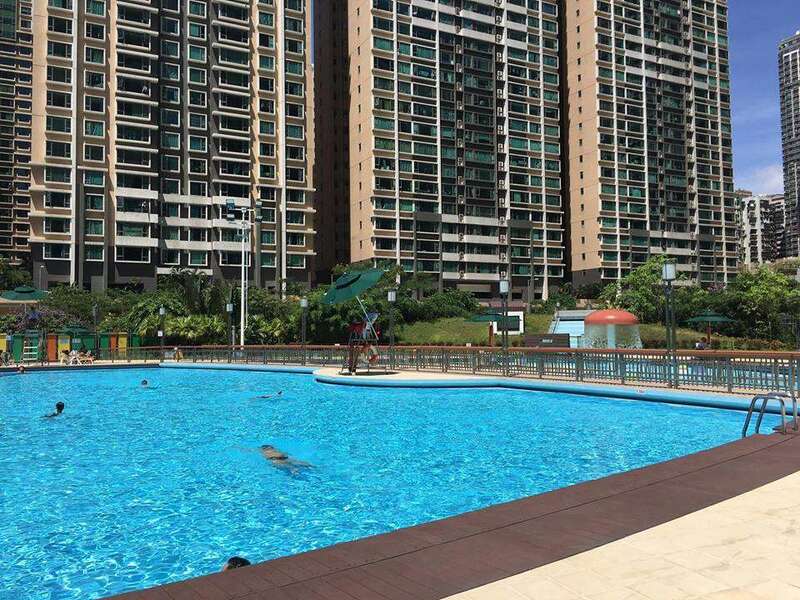 Another great pool around Taipa’s neighborhood is at the center of Taipa’s Central Park. More of a playground than a sports complex, the swimming pool is equipped with fountains and lounge chairs. Entry fares range from only MOP$5–MOP$15 and the pool is open seven days a week. The whole park, including the swimming pool, is a family-friendly destination and is well-liked by Macau locals. The pool isn’t deep and is perfect for play time with your little ones! Day pass adult—MOP $15, child—MOP $5. Open 7:00am–12:00pm, 1:00pm–9:00pm. 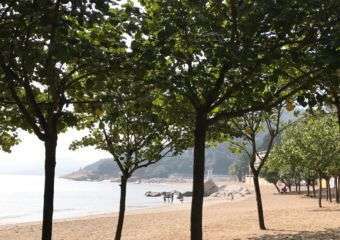 Moving on to Macau’s famous black sand beach—Praia de Hac Sa. Situated at the end of Coloane Island, the beach also has a playground and a heated swimming pool called Piscina de Hac Sa. Usually visited by nearby picnic-goers and those who prefer to dive in a pool than the beach. Hac Sa swimming pool is the perfect place for barbecuing or having a picnic in Coloane. Day pass adult—MOP $15, child—MOP $5, student/senior—MOP $7. Open 8:00am–12:00pm, 1:00pm–9:00pm. 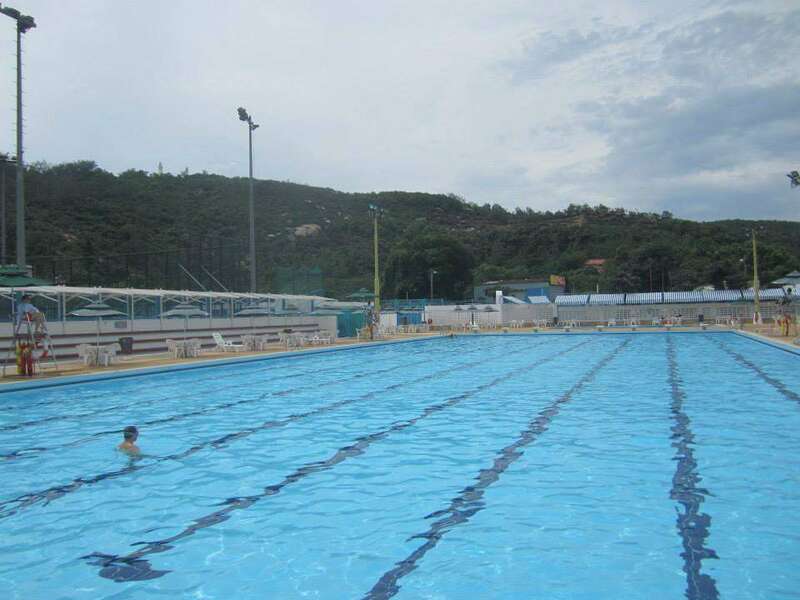 The most popular public swimming pool, with both locals as well as tourists, is definitely Piscina de Cheoc Van. Despite the long stairway in the middle of the forest from the bus stop down to the water, people still enjoy going there for a long pool day. 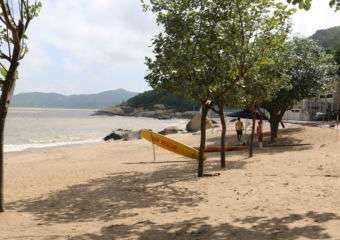 Just like Hac Sa, the pool is located beside the beach and only costs around MOP$15 for a full day entry. The swimming pool has a baby/toddler area which is only a few meters deep, a 3m pool at the far end that used to be a diving area, and a large common swimming area with 1.5m depth. Visitors love swimming here for long hours and have brunch or dinner at the nearby Italian restaurant, La Gondola. Day pass adult–MOP $15, child–MOP $5, student/senior–MOP $7. Open 7:00am–12:00pm, 1:00pm–9:00pm.